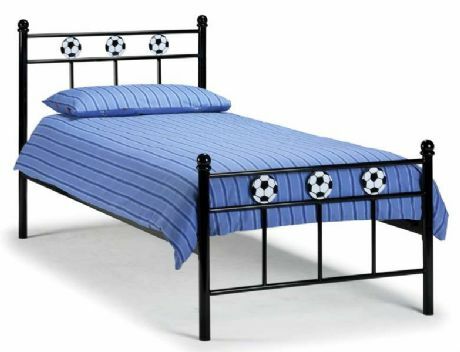 The Ajax black & white football bed is perfect for any football crazy youngster and will compliment most colour schemes. The base of this bed has been constructed with beech sprung slats . Please note that this bed requires home assembly. Include a mattress in your purchase and save £24.99 on the Premier mattress & £34.99 on the Deluxe mattress! This bed is available in the following sizes: single (3ft) only .